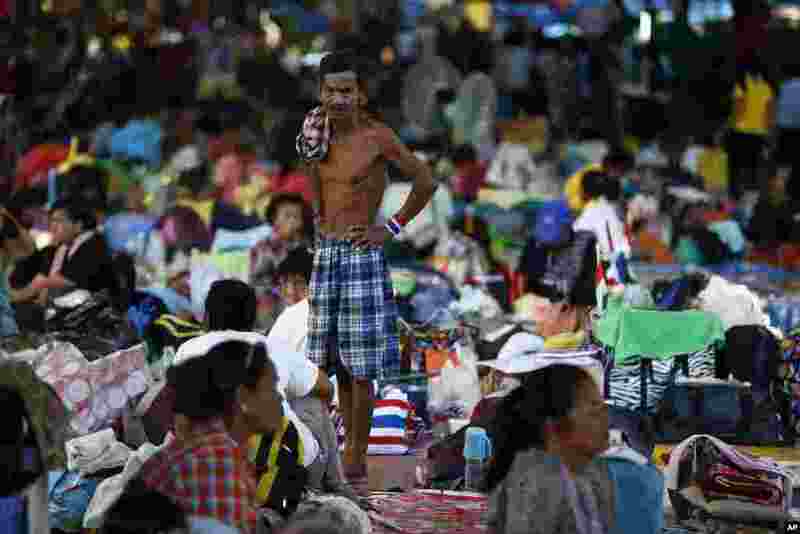 Thai authorities again delayed a final decision on the date of the general elections after anti-government protesters disrupted a key meeting. 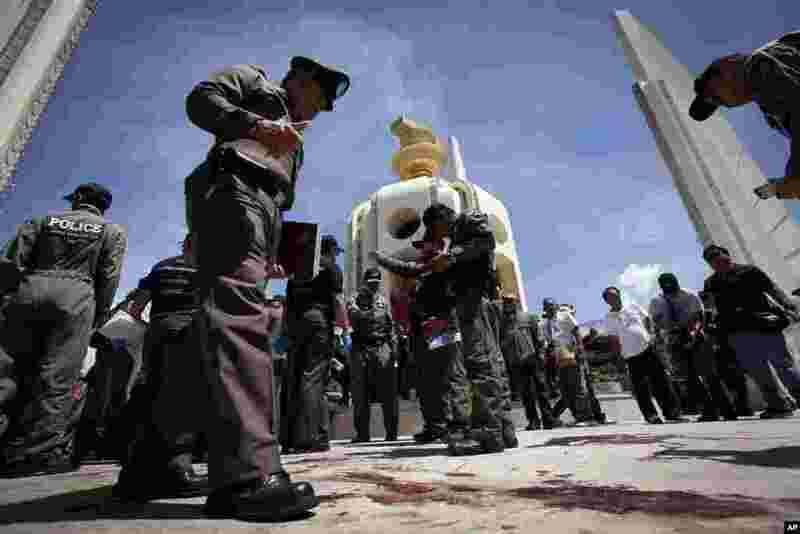 1 Police investigate the scene of an overnight shooting attack at Democracy Monument in Bangkok, Thailand, May 15, 2014. 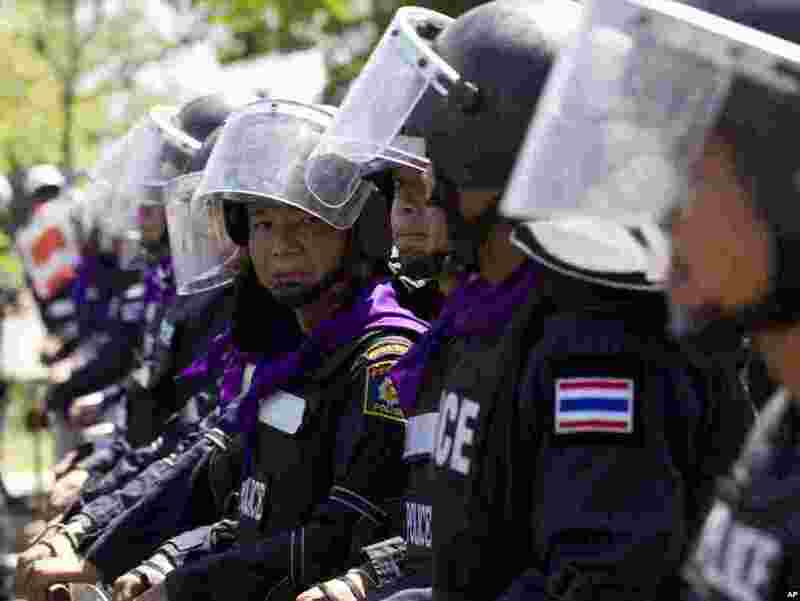 2 Riot police stand guard outside an air force academy compound that anti-government protesters had entered earlier in Bangkok, May 15, 2014. 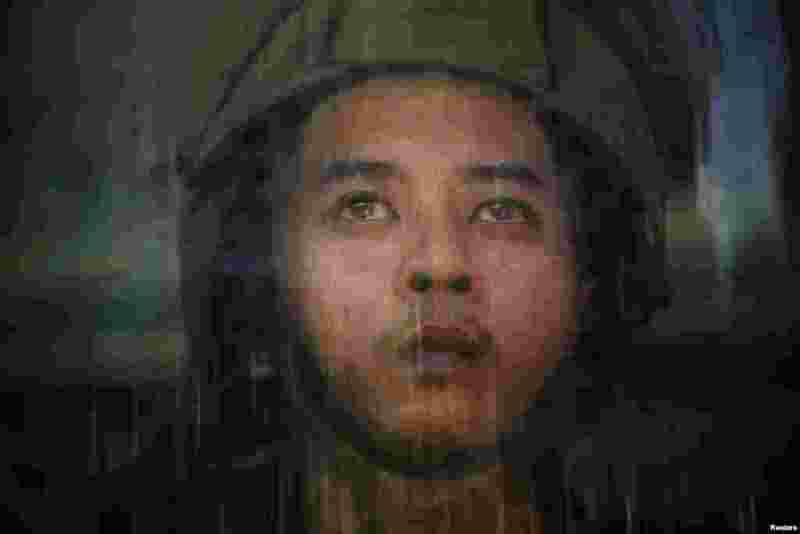 3 An Air Force member perspires behind his shield after anti-government protesters seeking to oust Thailand's government broke into an air force base in Bangkok, May 15, 2014. 4 Anti-government protesters prepare to start their day near Democracy Monument in Bangkok, Thailand, May 15, 2014. 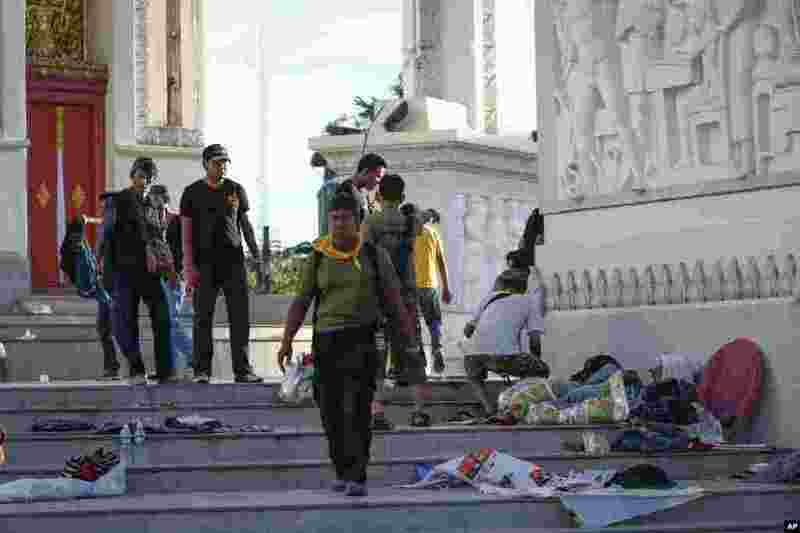 5 Volunteers from anti-government protesters clean up after an overnight shooting attack at Democracy Monument in Bangkok, Thailand, May 15, 2014.